This project presented a clearance issue situation. 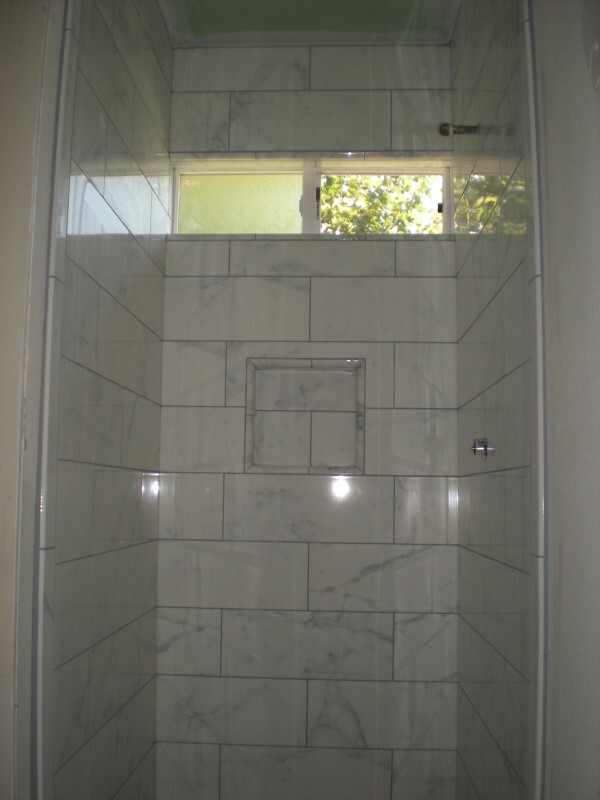 The tile needed to be set directly to the wall because the custom shower pan had a ledge that the tile needed to rest on. We used a product called Kerdi matting that was applied over the moisture board. 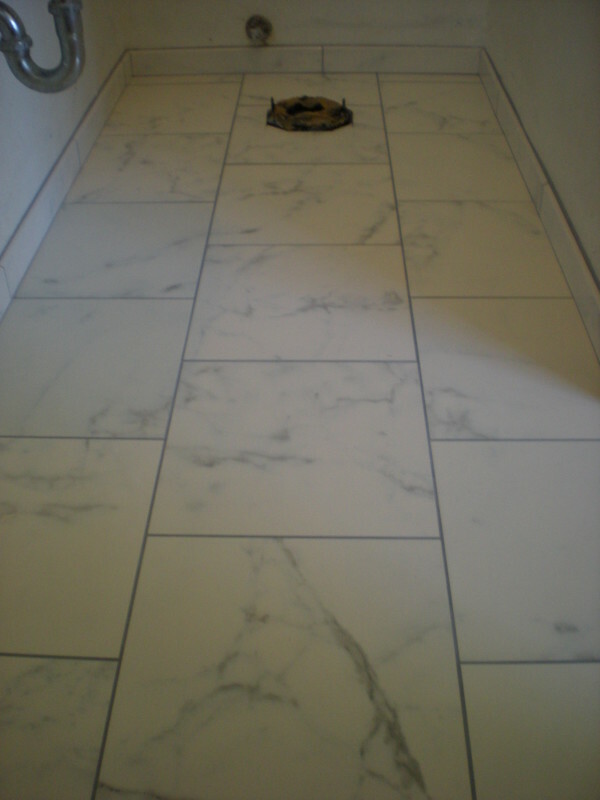 This allowed us to set directly to the waterproofing material, leaving a flat finish against the wall. 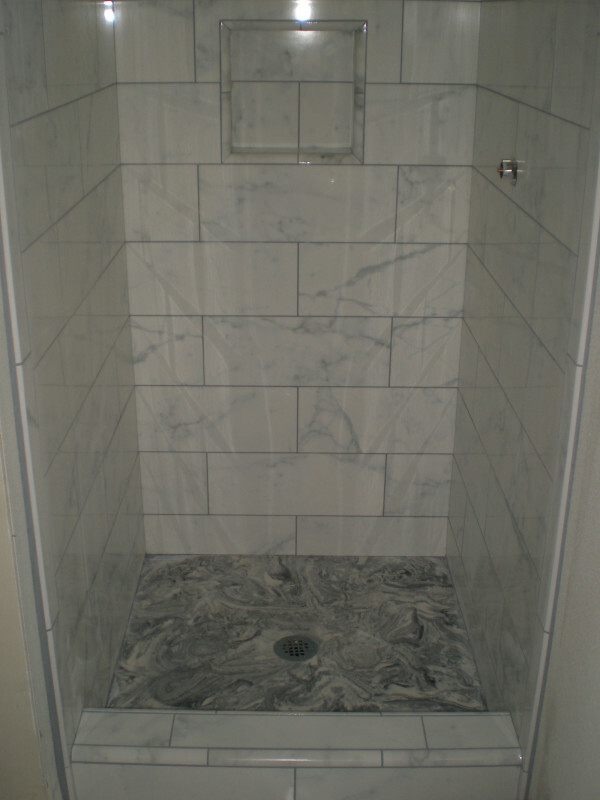 This porcelain tile had a high sheen marble finish with a contrasting grey grout.